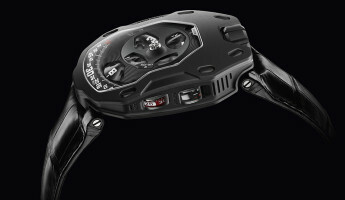 It’s a watch unlike any other. 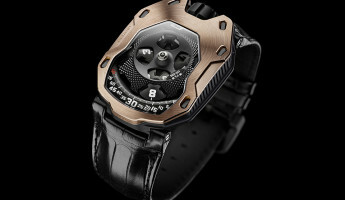 For 18 years, Urwerk has produced a line of watches that tells time in its own way. 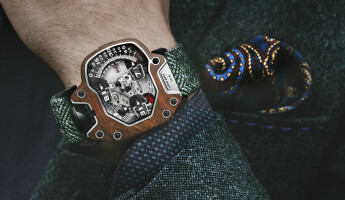 There are no hands, no tourbillons, no conventional movements — just a style of indicator that is unique to this brand. 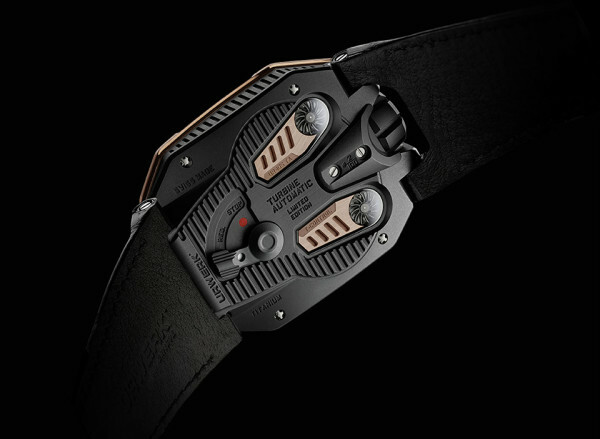 The new Urwerk 105TA Watch continues this tradition with the “satellite indication”, a set of spinning hour markers that orbit the display and point to the exact time. 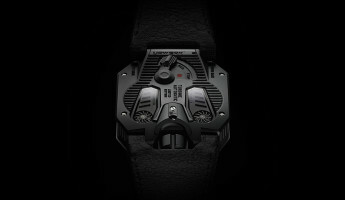 The result is what fans have come to expect from Urwerk — a modern, masculine timepiece that has an air of mystery in its display. Confused? 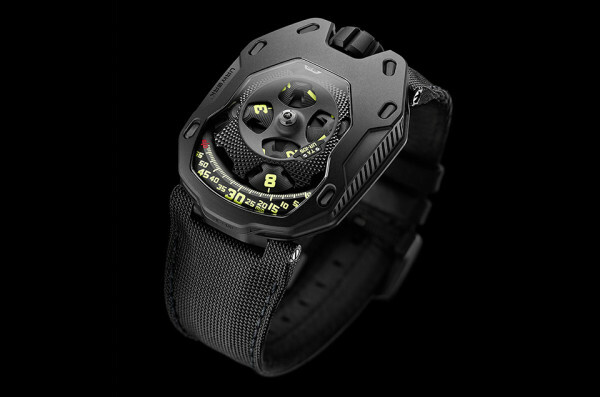 The system the Urwerk 105TA uses to display time is complicated in engineering, but simple in its use. 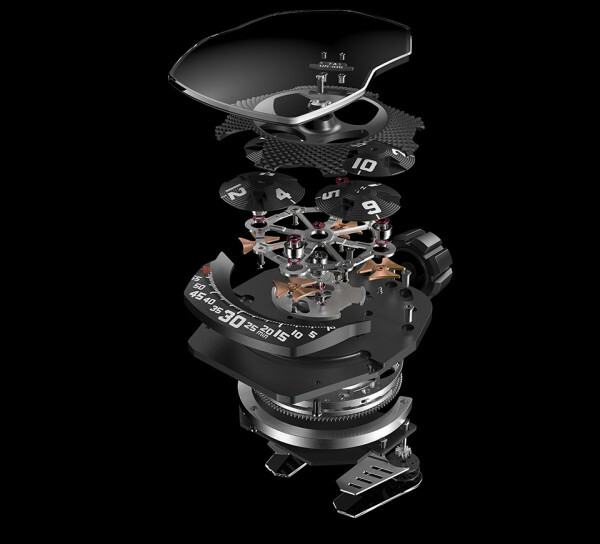 Under the central gear in the display, a set of four satellite dials spin about out-of-view. 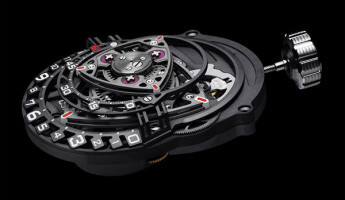 Each dial has three numerals on it, one for each hour in a 12-hour cycle. 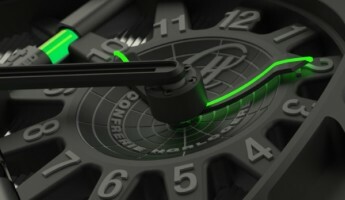 On the bottom of the display, minute markers display the full range of an hour. 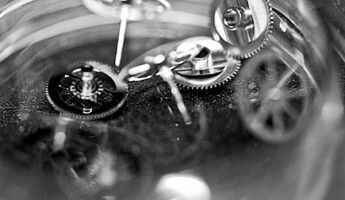 As time passes, the “satellites” point the current hour numeral to the minute marker, showing the exact time. 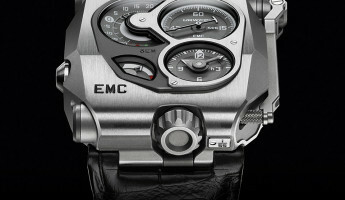 See the watch in the image atop this article? 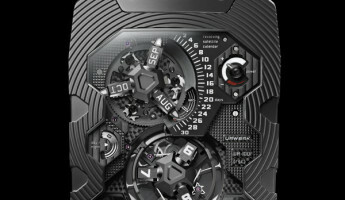 It’s showing 8:17, with a satellite bearing the number “8” pointing at the 17th minute on the full 60 minute span. When the “8” satellite finishes its orbit, the “9” satellite will replace it at the beginning of the minute markers. 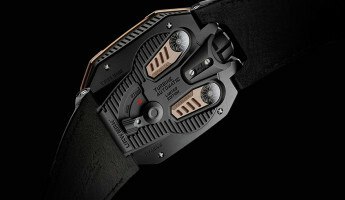 This style of time-telling is unique to Urwerk. 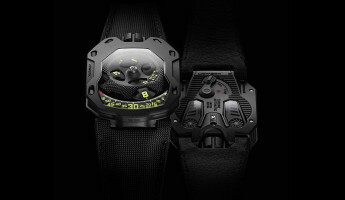 No other watch brand uses this system to tell time, and it has made Urwerk a cult brand in precision watchmaking. 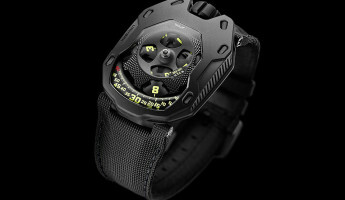 The Urwerk 105TA is the latest from the brand, and it is a slim, stylish and progressive take on the 105 product line. 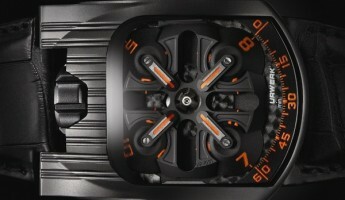 The “TA” stands for “Turbine Automatic”, as this watch is powered by a pair of air turbines on the rear of the case. 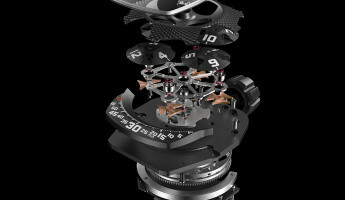 Tension is introduced by winding the watch, and these turbines release the tension slowly to power the “satellite ballet” that shows the time.